Free Shipping on all of our photo paper prints! 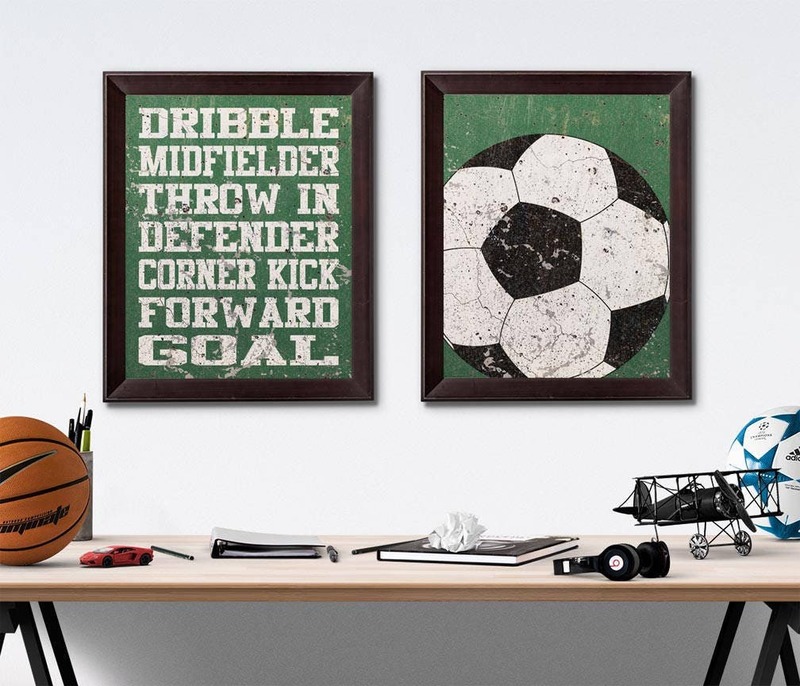 This paper print wall art set is perfect for the little athlete in your life! 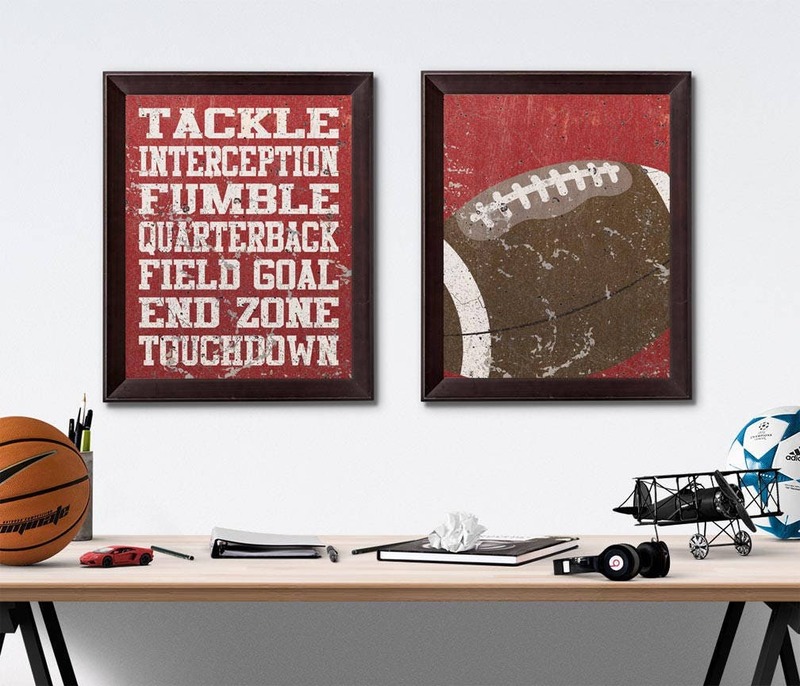 Pictured are a baseball, basketball, soccer, and football set of paper prints. Use the drop down menu to select which set you'd like. Each set also features a corresponding typography print of words commonly used in that sport. They have a weathered effect background. We can change any of the background colors, just select that option from the drop down menu when you place your order. Leave any custom color requests in the note to seller section of your invoice. If we are printing them in custom colors, we will message you with a proof to approve before printing. Watermarks will not appear on your actual prints. Frames not included. 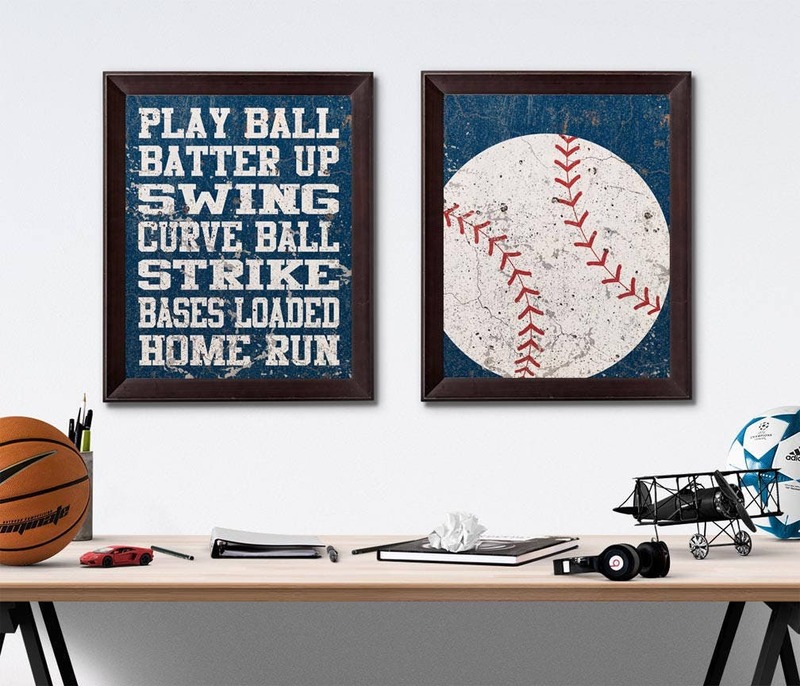 They are printed on thick, archival, Epson Premium Luster Photo Paper with fade resistant inks. They come in four different sizes. Use the drop down menu to select the size you'd like. They are signed on the back. They are packaged in a clear cellophane resealable bag with a piece of cardboard to keep them from bending.